Stand out in the crowd at any cocktail party or semi-formal event you attend when you show up in this fun, sparkly party dress. The Gold and Silver Raindrops Sequin Designer Dress is the perfect way to have all eyes on you—without showing too much skin. This dress is fully lined and features a high rounded neckline, three quarter sleeves, and a great classic sheath cut. Subtle padding in each shoulder adds a bit of structure to this look. 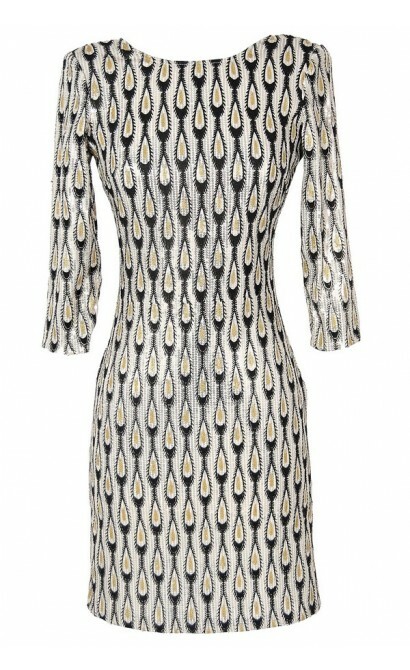 The best part of this dress has to be the awesome shimmering sequin embellished fabric. 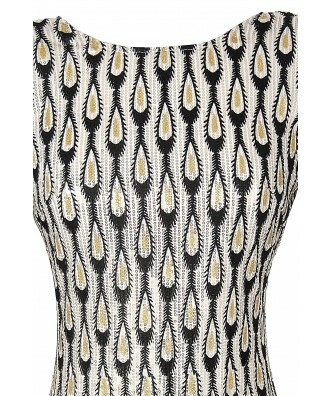 It features an ivory background with a black decorative pattern and tiny gold and silver sequins throughout. This dress will sparkle and shine when it catches the light. It would look great paired with black pumps or strappy heels. 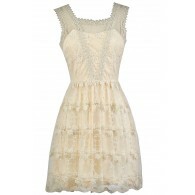 This is the perfect New Years Eve party dress! Details: Fully lined. Exposed back zipper. 100% polyester. Dry clean only. Small measurements: Length from top of shoulder to hemline: 35”. Bust: 32”. You have added Gold and Silver Raindrops Sequin Designer Dress into Wishlist. You have added Gold and Silver Raindrops Sequin Designer Dress for Stock Notification. 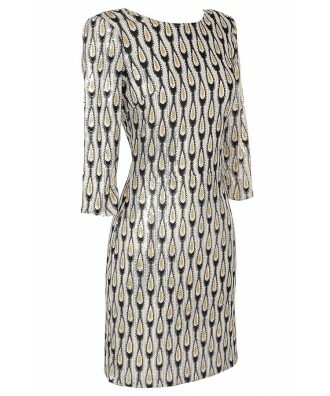 You have set Gold and Silver Raindrops Sequin Designer Dress as a loved product. You have removed Gold and Silver Raindrops Sequin Designer Dress as a loved product.